Our programmes exist throughout Africa, South Asia and Latin America are based on an innovative, holistic approach, which empowers women and men living in rural villages to become the agents of their own development and make sustainable progress in overcoming hunger and poverty. 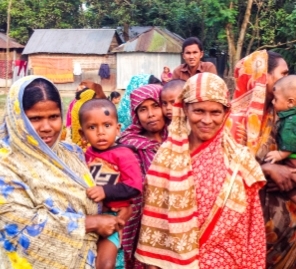 Top-down, aid-driven charity models often fail to reach the people who need the most help. To be sustainable, we have discovered three critical elements that, when combined, empower people to make rapid progress in overcoming hunger and poverty. on building the capacity of women. 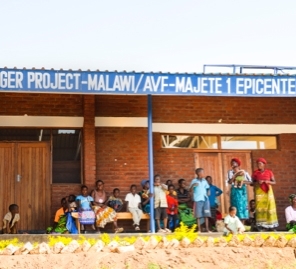 In eight countries in Africa, The Hunger Project’s Epicentre Strategy mobilises clusters of rural villages into “epicentres,” which band together 5,000-15,000 people to carry out community-led integrated strategies to meet basic needs. Women and men in 121 epicentres create and run their own development programs, reaching 1.6 million people in their communities. The Hunger Project empowers women elected to local government in more than 2,500 panchayats (clusters of rural villages) to meet the development needs of their communities. 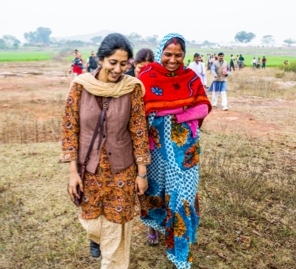 Across seven states of India, these women lead 14.3 million people. At the regional level, we facilitate federations of women leaders to strengthen their voice and provide a platform for learning and exchange. The Hunger Project mobilises local “animators,” (trained volunteers), youth, women leaders, and local government representatives. In 2014, efforts intensified in 112 priority “MDG Unions” (clusters of rural villages) to carry out holistic, bottom-up strategies to achieve the Millennium Development Goals in their communities. Their work reaches 4.6 million people. 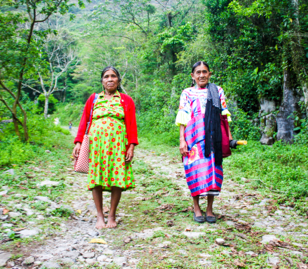 In Mexico and Peru, we support community development initiatives, focusing on the people who are the most marginalised, particularly indigenous women, reaching over 21,000 people. Our work includes a special focus on improving childhood and maternal malnutrition and igniting local entrepreneurship. Unique situations demand a unique approach. A method that works in India may not, for whatever reason - political, cultural, social, economic or geographic reasons, work in Africa or Latin America. That's why the Hunger Project does not approach situations with 'the solution', 'the project' or ‘beliefs’ about right and wrong. Our local leaders look at what is missing, and then work towards a solution that works for their needs. Chronic persistent hunger is a grinding existence and a vicious cycle in which food security, income, environment, education, healthcare, water and equality between men and women all play a role. To break this cycle, The Hunger Project works holistically addressing all aspects. This is critical, especially in rural areas where the need is highest and the resources are scarce. With a strong focus on women and self-reliance as the ultimate goal, the solution created becomes sustainable. 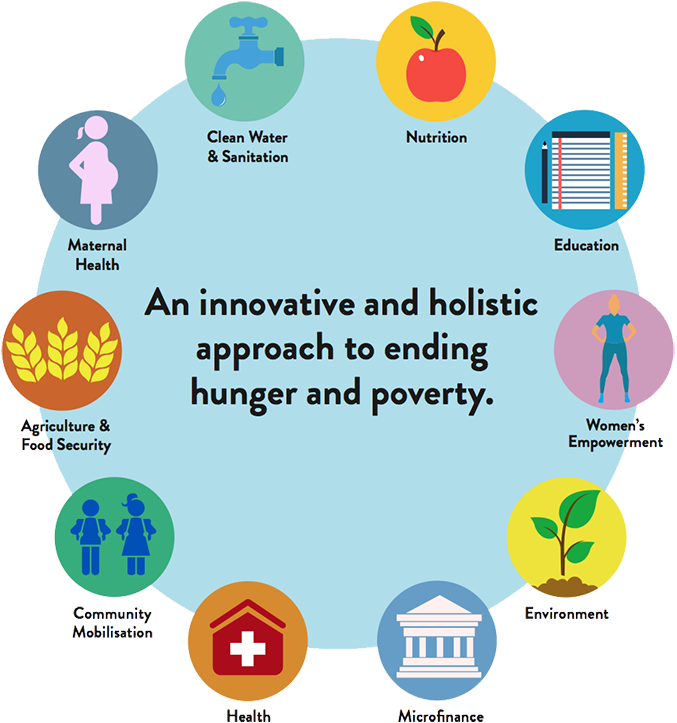 OUR GOAL IS SIMPLE: TO END HUNGER SUSTAINABLY AND HOLISTICALLY. WE DON’T WANT TO BE HERE FOREVER. We’ve always believed the end of hunger is possible – and now 193 world leaders have agreed to 17 Global Goals to end poverty, inequality and halt climate change. This mean we can all work collectively and collaboratively towards the end of hunger. Participate in one of our transformative programmes, witness our work on the ground and shape your future. Create an innovative, collaborative partnership between us and your business or community.